Barcelona is a thriving hub for business. Barcelona’s data sheet tells us that in 2017 alone, 47.3 million passengers passed through Barcelona’s airport and Catalonia generated a staggering 20.1% of Spain’s total GDP. In that same year, Catalonia received vast amounts of foreign investments that were used to propel its buzzing startup scene to even greater heights. Barcelona offers businesses a location where they can connect with providers and customers alike while enjoying easy access to the rest of the world. Are you passing through? We can’t wait to have you here. If you are looking for an insight into the key business event in Barcelona, here is a closer look. Barcelona plays host to over 200 business conferences each year, making it the city with the highest number of participants worldwide. There are also countless additional corporate events and meetings that take place every year: from startup and networking to IT and Saas events. This is an international business networking event in Barcelona that aims to facilitate the sharing of information, knowledge, contacts, jobs, and opportunities. If you are looking for a regular English-language networking event, be sure to keep your eye out for the latest edition. You will find that the events are attended by a range of interesting international professionals who relish the opportunity to network while also getting to know one another and socialize. This annual flagship event brings together Europe’s hottest startups to learn from the most successful European entrepreneurs of our time. Over 1,200 founders, startup enthusiasts, corporates, angel investors, VCs, and media from across Europe will be in attendance. This means that the event is not only a great opportunity to learn, but also for you to do some serious networking. A range of workshops are on offer too, as well as an exciting pitch competition. Applause 2019 is the foremost mobile growth and app marketing conference in Europe. This is the 4th edition of the one-day conference and it gives attendees the opportunity to learn from the best app marketing professionals in a range of sessions, workshops, panels, fireside chats, and scheduled meetings. Over 300 professionals will attend the business event in Barcelona in a luxurious environment, making this a very intriguing proposition if you’re involved in the world of mobile growth and app marketing. Powered by Google for Entrepreneurs, Startup Grind is the world’s largest community of entrepreneurs. Barcelona’s chapter was voted as the best of the year in 2016, with an amazing 50 events hosted since April 2014. This 4th anniversary event will celebrate the achievements over the years. An open mic session will be followed by a keynote and panel, all concerned with the lessons learned over the past four years. Drinks continue into the night, making this a great opportunity to network and develop contacts in Barcelona. Definitely, one of the best startup events in Barcelona you don’t want to miss! Digital Makers is a company that works to train fantastic developers. At this business event, you are able to go and pitch your exciting application idea and attempt to get the students to develop it for you as part of their group project. 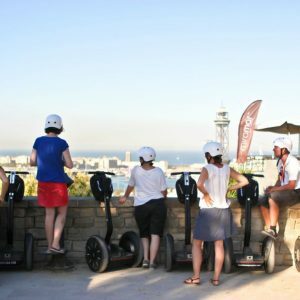 This is a more casual event where collaboration is key, but it totally encapsulates the energetic and collaborative atmosphere that makes Barcelona such an attractive location for startups. Sonar is probably best known as one of the world’s largest music festivals, but it also capitalizes on this creativity through its Sonar+D event. This international congress helps to facilitate for inspiration and networking by inviting the world’s leading researchers, innovators, and business leaders. You will be sure to find something interesting happening here and if you’re involved in the world of creativity, technology and business, you’ll have productive time. Artificial intelligence is promising to totally transform the world around us, and it represents a significant opportunity for a range of businesses. If you are in this space, then you might want to consider to attend the international conference on artificial intelligence in Barcelona. This top business event in Barcelona provides a platform to researchers, engineers, academics, and industry professionals to exchange new ideas and establish new research relations and partnerships. Exciting stuff if your business is looking to be at the forefront of AI. Cisco is a leading provider of IT, networking, and cybersecurity solutions. If you are involved in these areas professionally, there is no doubt that you have heard of this giant company. Cisco Live is the annual customer and partner conference that aims to educate and inspire attendees to help them thrive in the world of digital business. Cisco Live is considered one of the best IT event in Barcelona. The conference offers a range of networking and learning opportunities, and it attracts a huge number of attendees each year. The last, but not least important, top event in Barcelona is the Mobile World Congress. This is perhaps the largest industry event in the world, bringing together key industry players to share innovation, explore trends, and hear from today’s leading voices in everything mobile. The event regularly attracts more than 100,000 attendees from every corner of the globe, making this an incredible networking and business development opportunity. Enjoy these business events in Barcelona! Barcelona really is a thriving hub for business and we hope that you enjoy your business event here! If you are looking to conduct additional business, be sure to check out our look at the best places for a business meeting in Barcelona. We also hope that you’ll have the opportunity to kick back and enjoy this beautiful city on a bigger scale, so be sure to check out our other blog posts. 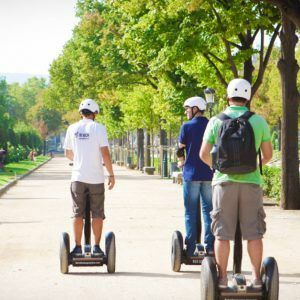 Here is our guide on local things to do in Barcelona.